I remember vividly as a young lieutenant being in charge of a establishing a field testing site for soldiers. We then executed the actual test that would determine their potential for promotion to the next rank. Upon completion of the event I conducted my first After Action Review (AAR). The process taught me valuable lessons about leadership and improving the performance of a team. I would participate in hundreds of AARs over my career in the Army. Hotwashes or debriefs have been going on for thousands of years. The Army created is own AAR process decades ago, which has stood the test of time and adopted by many leaders and organizations over the years. Sports coaches are typically all over this. They create a game plan, participate in the contest, then after winning or losing, they have their own locker room chalk talk. They meet with other coaches and players to determine what happened, why, and what they need to do to improve. I find it interesting, however, that so many leaders in the corporate world don’t know about them. It is a simple technique that helps people become better leaders and organizations produce better results. If you want to learn more – read on! 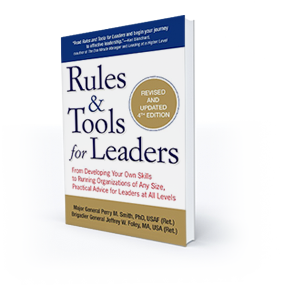 The AAR is universally adaptable – can be used at any level by any leader in any type of organization or even at home. It is a process used to help teams of any size learn how to improve their performance. The process is most effective when it is used routinely within the organization providing that catalyst for consistent growing of leaders and team. What did we set out to do? There needs to be very clear understanding of the intent of the leaders going into the event or activity. What were the mission, goals, objectives, standards, or outcomes identified to be addressed? What was the game plan? Or sales strategy? Or surgical procedure? Or leadership transition plan? Or client engagement strategy? What actually happened? This is the beginning of the diagnosis part of the process. Leaders need to obtain agreement from all participants on what actually happened. Did we meet or not meet the standards or goals? What did we do well that needs to be sustained? What did we not do so well that needs to be improved? Open and honest dialog by all will enable comprehensive review of the details and help all learn and grow. Why did it happen? This is the second part of the diagnosis – examining why things happened the way they did. Leaders need to identify the root cause for everything that happens and the effect it had on the mission or goal. Sometimes it is easy to determine, other times it is not. 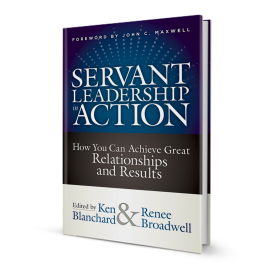 Leaders must be effective in their communication skills to uncovering the truth. For instance, regarding shortfalls, was there a competency issue where people were not trained effectively to perform the task? Or were the standards not clear? For successes, what were the keys to achieving the success? Mistakes will be made in every event and it will be important to ensure that the leaders underwrite honest mistakes by those who are doing their best. What are we going to do next time? This is the follow-up to the important learning from the 3 questions above. Actions must be identified by the leaders and ultimately executed to ensure sustainment of those things done well, and corrective actions implemented to fix shortfalls. This is where the real learning takes place. I encourage you to use AARs in your organizations. The Army Training circular TC 25-20 (30 September 1993) is an excellent source on this topic. AARs enable growth in leadership, build stronger teams, bring out the best in others, and ultimately produce better business results for the organization.